The Badminton Association of Western Australia (Inc) (trading as Badminton WA) is a constitutional incorporation governed by the Board of Management. The Board of Management meets monthly, has written minutes and operates in accordance to approved guidelines and policies. Lily has a background in sports & Olympics diplomacy representing the UK and held senior management roles on corporate strategy, human resources, marketing and business operations in major Australian industrial & trading companies and international hotels. Lily is a nationally accredited coach and a qualified umpire. 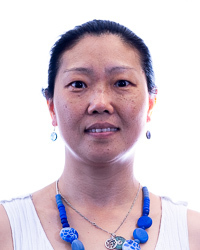 Eva's professional background is in tax administration and business services. She has had a strong passion for badminton since playing as a junior and now continues to promote the sport to the wider community. Eva is also a Badminton Australia accredited umpire. 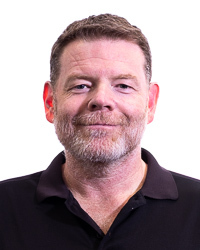 Neal is an experienced project, program and engagement manager with over 20 years of experience. He also is a committee member of one of the largest badminton clubs in Perth. 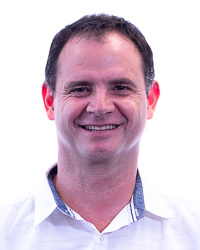 Mark's substantial experience as a sole trader / small business operator and his communication skills allow him to successfully liaise with a broad range of stakeholder groups. 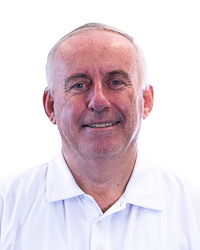 Mark is passionate about increasing participation in Badminton WA tournaments and programs, and takes a proactive hands-on approach to promote our sport. He is also a qualified badminton coach. 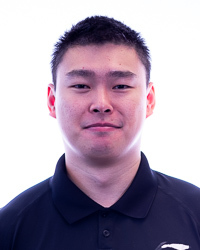 Ryan holds a Master's Degree and is currently pursuing a post-graduate qualification in Sports Science, with a focus on badminton-specific training, performance and recovery. His research has been acknowledged at BWF level. 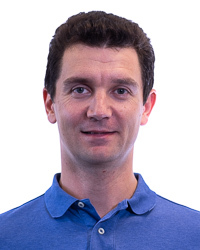 He is a BWF-qualified coach, and has been selected as WA State Junior Coach multiple times. Ryan has a keen interest in high performance and junior development. Although Grant has only played badminton for 3 years, he has had great success becoming the current Oceanic and Australian wheelchair champion. He is passionate about Para-Badminton and Inclusivity in the sport and has valuable experience being an international competitor and qualified coach. 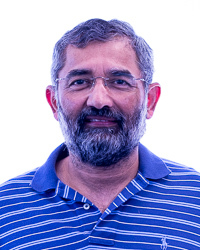 He also brings with him extensive experience as an executive committee member for over 10 years with the North Suburban Community Cricket Association. Kim is a recently retired Chartered Accountant with an interest in governance and brings enormous financial experience to the Board. He is a qualified Coach and has a strong interest in junior development, and is a past qualified umpire. 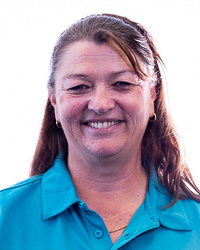 Kim is a Life Member of Badminton WA and also has received a prestigious SRG Sport & Leisure Service to Sport Award at the ANZ Sports Star Awards and a Service Award from Badminton WA. Janet has been a member of the badminton fraternity for over 40 years,starting as a member of the Midland Railway Badminton Club. This led her to playing competition and pennants as part of the Hills Badminton Association and Badminton WA. 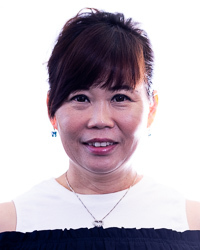 Janet was Vice President, President, and tournament director of the Hills Badminton Association for nearly 10 years and is a previous Board Member of the Badminton Association of Western Australia. She brings with her significant experience in event management, tourism and government relations. Eugene was a member of the Badminton WA Board of Management when he was invited to step into the Executive Officer role. He brings with him a diverse experience in business management and governance in the not-for-profit as well as in the corporate sector. Eugene is also a qualified badminton umpire and referee. 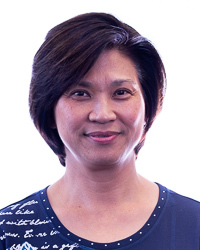 Elaine's professional background is in the financial services sector, and she holds a BCom degree in Accounting from the University of Newcastle, NSW. Her main connection to badminton is through her son who trains and plays regularly. Elaine is happy to contribute to the association's progress in promoting the sport in WA. Kay Terry MBE(C) is a legendary figure for Australian badminton. She has won the national singles champion title for 5 consecutive years from 1964 to 1968, and also multiple doubles and mixed doubles titles. Kay has represented Australia internationally on many occasions. After finishing her career as a player, Kay proceeded to work as a coach and administrator and has been seen all around the state helping young players master their badminton skills. She has a wealth of knowledge and experience in coaching at all levels from primary school kids to elite players. Kay is a Life Member of Badminton WA and holds multiple awards for her service to the sport of badminton.